Google said Friday it would implement changes in how it applies the so-called right to be forgotten for online searches made in Europe. The changes, to be implemented next week, would close a loophole that allowed Europeans to find deleted entries by using Google.com instead of the search page for their local country. "Starting next week, in addition to our existing practice, we will also use geolocation signals (like IP addresses) to restrict access to the delisted URL on all Google Search domains, including google.com, when accessed from the country of the person requesting the removal," said a blog post from Google's global privacy counsel Peter Fleischer. "We'll apply the change retrospectively, to all delistings that we have already done under the European Court ruling." A European Court of Justice ruling in May 2014 recognizing the "right to be forgotten" opened the door for Google users to ask the search engine to remove results about them that are inaccurate or no longer relevant. Now a part of the holding company Alphabet under a reorganization, Google's moves failed to satisfy some regulators, notably in France, because the users could get around the restriction. Google has not changed search results in other areas such as the United States. Up to now, Google had been deleting certain results from searches made on google.de, google.fr, google.co.uk and other domains within Europe. "We're changing our approach as a result of specific discussions that we've had with EU data protection regulators in recent months," Fleischer said. Danny Sullivan, editor of the Search Engine Land blog, said the new practice is more complex but still could have loopholes. 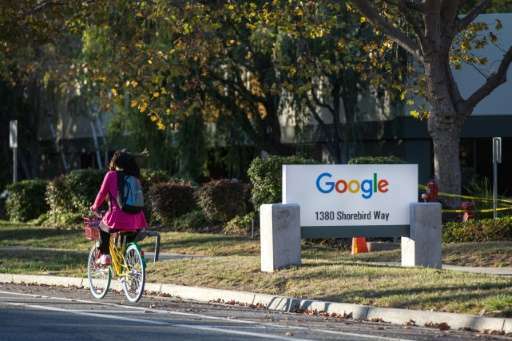 "It's worldwide censorship for those within the country where the request was granted, in the sense that no matter what edition of Google they use, the removed listings will not show for the terms involved," Sullivan said in a blog post. "Outside the EU, none of the censorship will be in place—so it's not worldwide when considered that way. This will also be the case for anyone within the EU who manages to disguise their location, such as someone using a VPN." In its most recent update last November, Google said it had complied with less than half of the 348,000 request to remove content in Europe. The largest number of requests came from France, with more than 73,000, followed by Germany with some 60,000. Similar processes have been put in place by Microsoft's Bing search engine that also powers queries at Yahoo. This will also be the case for anyone within the EU who manages to disguise their location, such as someone using a VPN. It's far simpler than that. You simply have to set a browser extention to serve a forward message that basically pretends you're acting as a proxy for some address outside of the EU, and Google has to serve you the results. The whole censorship rule is silly, counterproductive, and can never be implemented properly. So we now have to use Tor to get honest results on Google (and Bing)--what an extra loop of hassle.